“Let our look be your therapy. 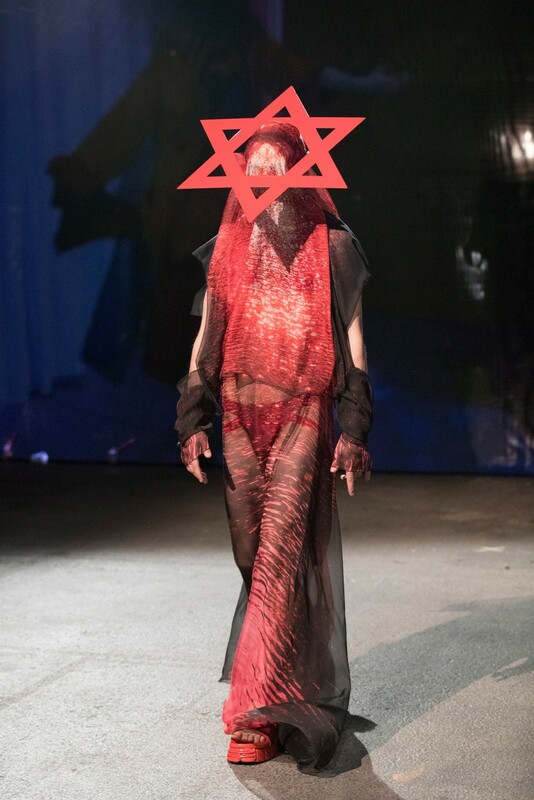 Let us heal you hard from the Normcore.” That was the theme of this year’s Doing Fashion Graduate Show from FHNW, the institute of Fashion Design in Basel. The topic centered on the investigation of our individual appearances and play with identity. Œ was, once again, kindly invited to attend the bachelor graduation presentation, where this year’s candidates showed their first collections on an interactive stage with different platforms. Twenty-two students showcased twenty-two self-designed collections and presentations in the Dreispitzhalle in Basel. Whether on roller skates, dancing on stage or running through the audience, each production left the audience with growing captivation. 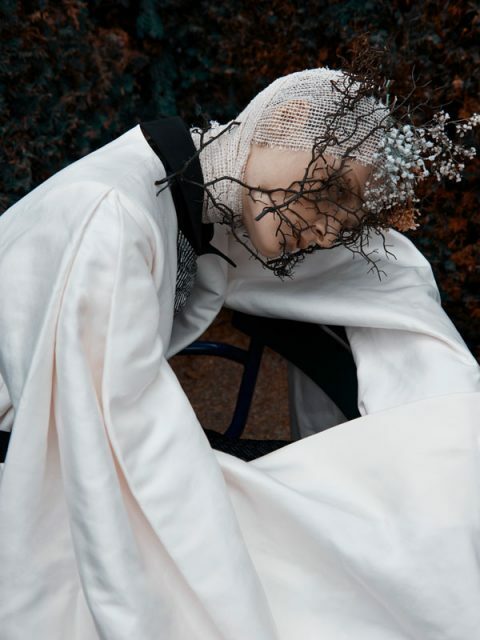 Together with Novembre Magazine the students produced a fashion film shot behind the scenes, which was screen simultaneously. Each collection displayed a vision of fashion as different from one another as the designers themselves. 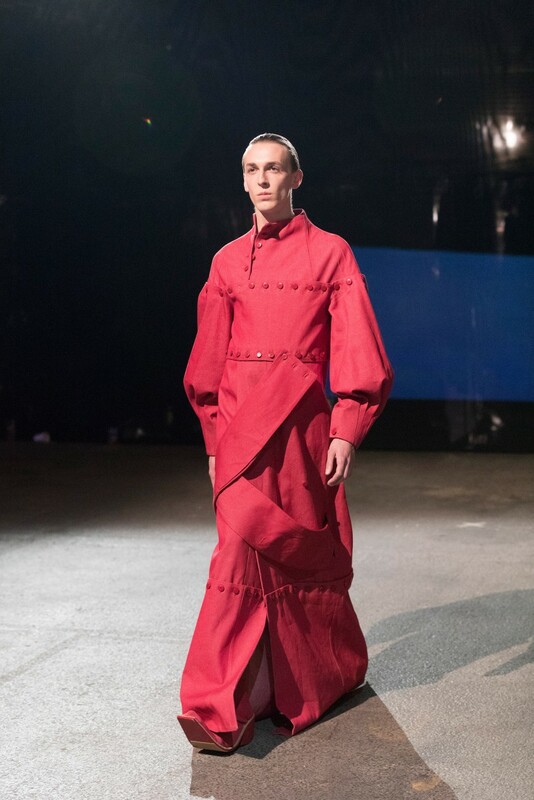 The young designers exhibited a theme of their choice–one which holds present significance for them. Timon Imveldt focused on the Exodus narrative, framing it as a symbol of the antagonism between religion and homosexuality. 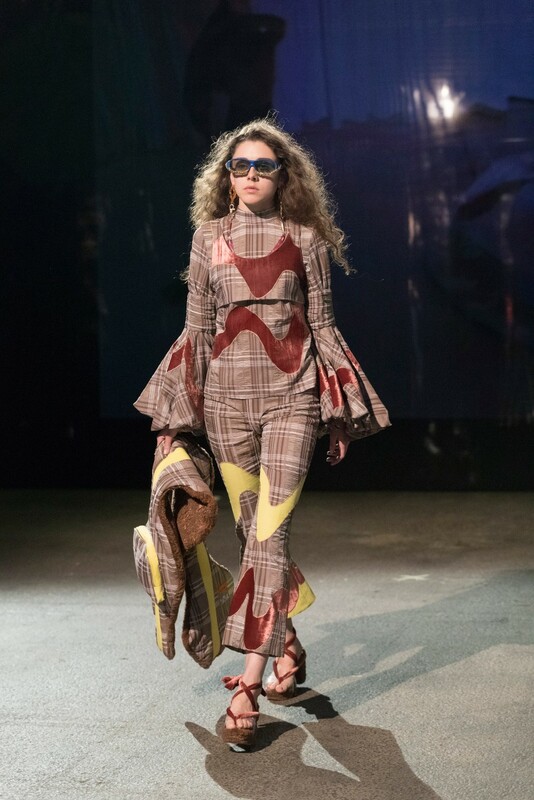 Evita Rigerts collection commented on the cycle of luxury consumerism, piquing the audience’s fascination with needless, oversized plastic covers for high heels and plastic headgear. Other students drew their inspirations from varied objects and ideas including old Italian tablecloths, DIY floral prints, fisherman clothes and Japanese culture. Eloïse Ise, who opened the show with her men’s collection inspired by historical gowns, offered one of the more fascinating presentations. 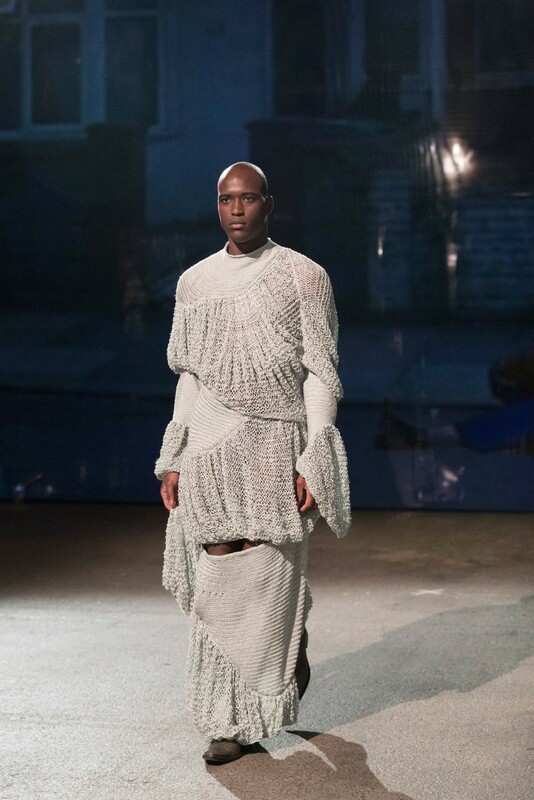 Her garments questioned the relationship of men to gowns and proffered a unique proposition for unisex wear. With different fabrics and patterns crafted into voluminous dresses, Ise reinterpreted the elegance of historic shapes on modern men. Another student, Jill Bloch, took the audience back to their last Mediterranean vacation, drawing her inspiration from Italian summer days. Her collection, steeped in summer nostalgia transmitted the feeling of laid back, summery nights through splashes of pastel and billowy blouses. For Bloch, clothes function as repository for memories, with her presentation liberating those recollections and seducing the audience into deep longing for those mellow beach days. Manon Noëmi Criblez, who completed her internship at Wunderkind in Berlin wanted to show the bright side of life with her courageously colorful garments. 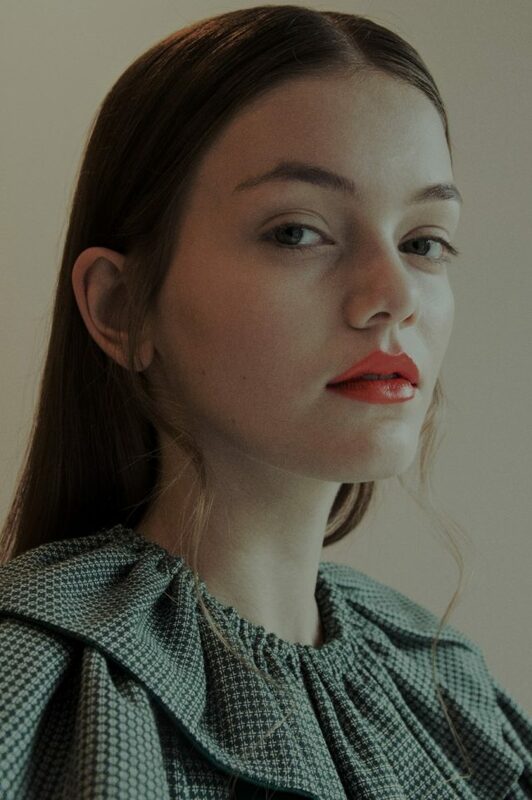 “We have so much dark stuff going on, I thought we needed a little bit of color.” Her collection was about the fine line between youth and adulthood with emphasis on the transitional moments in between. An impulsive red and orange fur jacket, a light blue silk dress and purple trousers infused the collection with colt-like energy befitting of adolescence, but tailored for women. 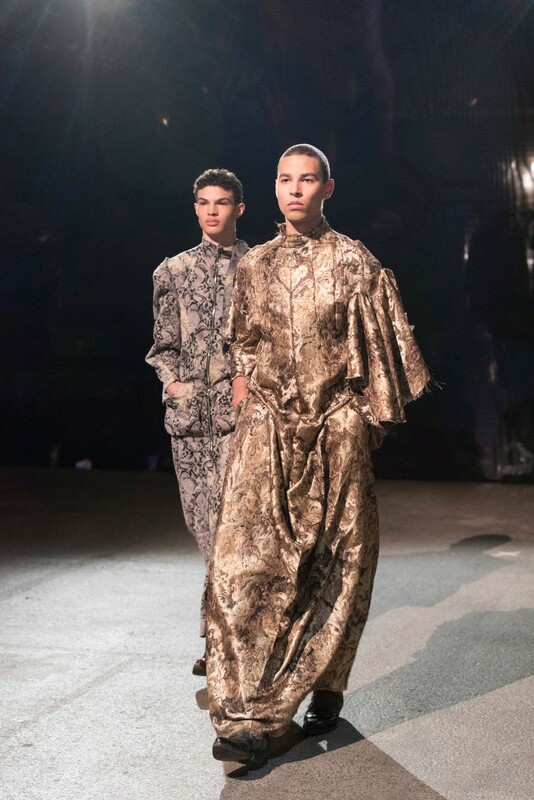 All in all, the show was about celebrating the youthful passion and devotion of these young designers who have been primed to articulate the depth of their identities through garments. 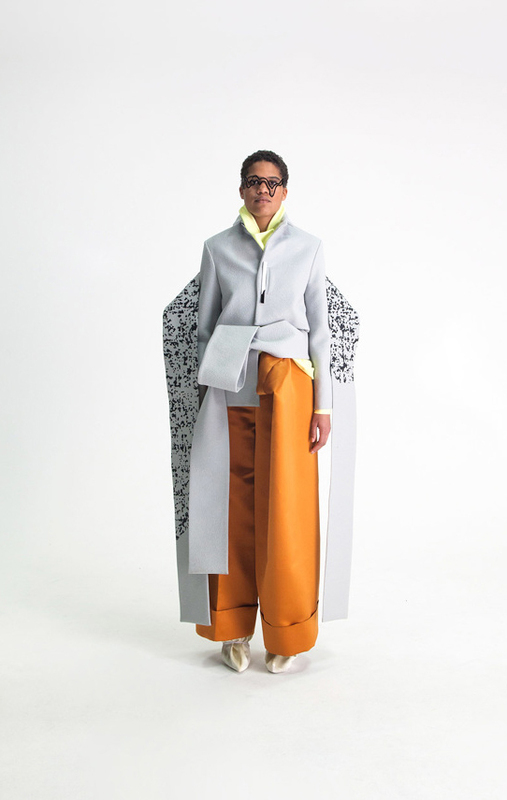 The Doing Fashion Graduate Show was modern, earnest, a labor of love and a sincere expression of self.